You learn you have a genetic history of cancer. Now what? Noah Kauff, MD, is at the forefront of answering that question, especially for women's cancers. EARLY IN HIS OBSTETRICS AND GYNECOLOGY CAREER, NOAH KAUFF, MD, ran into a conundrum. A woman with a family history of breast and ovarian cancer came to him for treatment in rural New Jersey. Doctors had a lot of information about the importance of genetic history, but at that time (the late 1990s), it wasn’t clear what to do with that information. So, Kauff developed his own program for individuals with hereditary predispositions to breast and ovarian cancer. Following 15 families in similar situations stoked his interest in genetic risk assessment and led him to complete in 2002 a joint fellowship in cancer genetics with Memorial Sloan Kettering and New York Presbyterian Hospital. Today, he’s the director of Duke Cancer Institute’s Hereditary Cancer Clinic, which offers genetic testing and counseling to individuals diagnosed with any type of cancer. His specific interest, though, is still finding solutions for patients who show a genetic predisposition for breast and ovarian cancer. What Difference Do Genes Make? Every woman faces at least a small risk for developing breast cancer. In the general population, women have a 12 percent chance of battling the disease through age 80 and 2 percent by age 50. 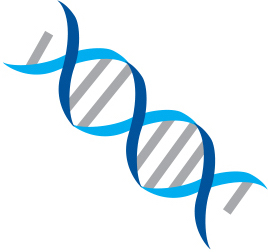 But, odds increase for women with mutations to BRCA1 or BRCA2, genes responsible for repairing certain DNA proteins. Women with those mutations have a 65-80 percent breast cancer risk through age 80. And, their risk of developing disease early (before age 50) is increased 15 fold compared to women without the mutation. BRCA mutation carriers also face a greater risk of ovarian cancer: a 36-53 percent chance by age 80, compared to just 1.3 percent in the general population. In fact, in 2002, Kauff’s group published the first study showing that post-childbearing, pre-menopausal ovary removal lowered breast cancer risk. Data showed women with BRCA2 mutations experienced a 40-70 percent reduction, and women with BRCA1 saw up to a 40-percent drop. This strategy is less effective for BRCA1 because these cancers don’t express estrogen or progesterone receptors, making them less responsive to hormonal interventions. His research also revealed a link between BRCA1 mutations and serous uterine cancer, an aggressive form accounting for 10 percent of uterine cancer cases and 40 percent of associated deaths. The mutation increases the likelihood 20 fold. However, removing the uterus simultaneously with the fallopian tubes and ovaries is a cost-effective treatment strategy that offers a clinically relevant improvement in life expectancy, he says. Still, there’s a need for more effective ways to screen women to find out whether they have an inherited predisposition. That’s why the Hereditary Cancer Clinic is so important, Kauff says. The most effective way to combat inherited cancer risk, he says, is to move genetic risk assessment out of cancer centers and into primary care settings as much as possible. Not only could it offer life-saving treatments to women with mutations earlier, but it could also identify previously unknown risks in their close female relatives. 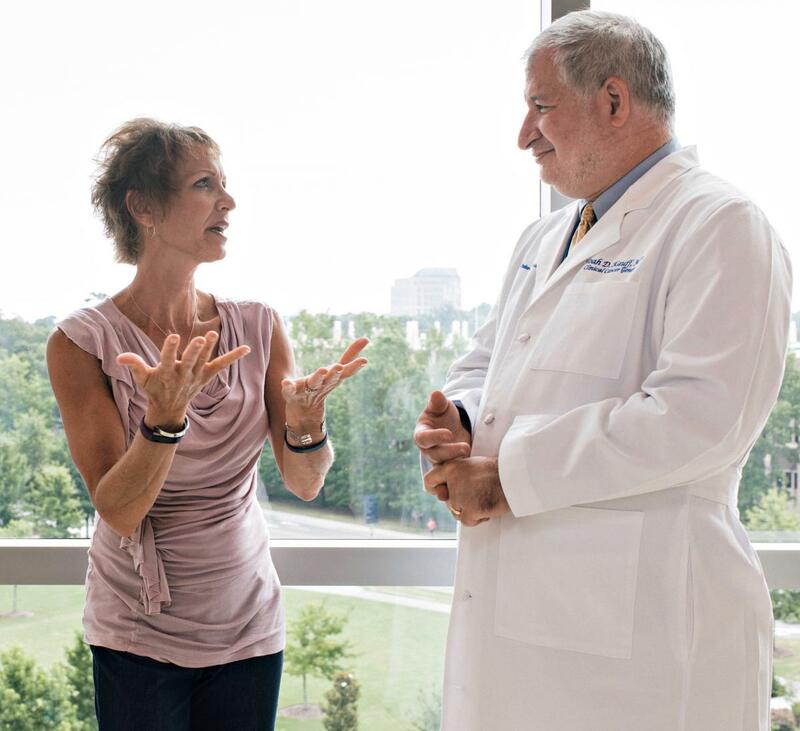 In fact, going through genetic screening told two-time breast cancer survivor and Duke patient Kate Houff that her daughter carries the BRCA1 and BRCA2 mutations. “Duke tested me for 17 genes, and I tested negative. But, we learned my daughter carries both mutations,” she says. “We’re studying patients, whose hands we can actually shake, for their benefit and the benefit of their immediate relatives, the next generation, and the general population,” he says. In part because of her concern about her daughter, Houff has decided to help raise funds and awareness for Kauff’s research. 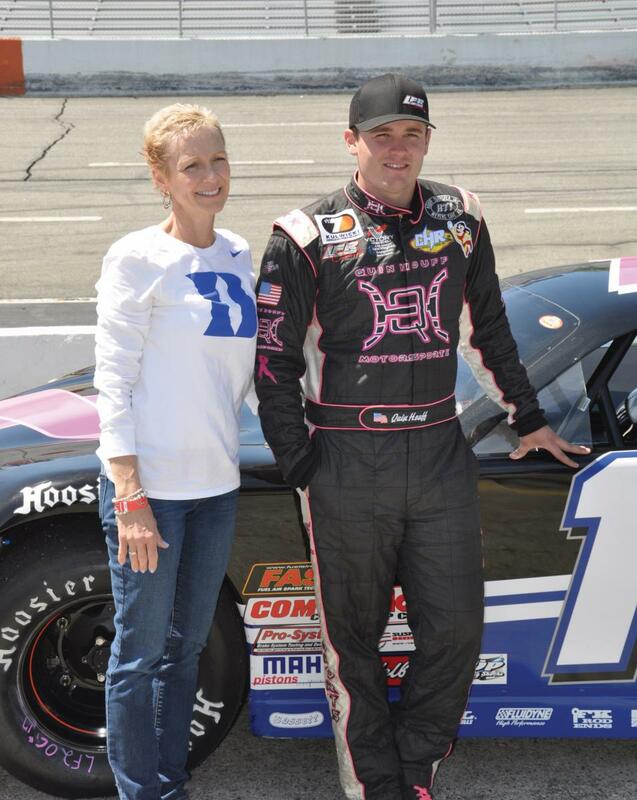 Her son, Quin, a NASCAR driver, donates a portion of his winnings ($10,000 for Kauff’s work to date), and he raises funds through a website, beatincancerwithduke.org. Kauff and colleagues have also received support from the Gray Foundation, the largest private philanthropic organization with a specific interest in the link between BRCA1 and BRCA2 mutations and hereditary breast and ovarian cancer. A $1 million grant will further efforts to more effectively follow individuals with inherited risk long term and will help develop better ways to assess genetic risk. For example, the clinic is investigating ways to streamline genetic counseling. 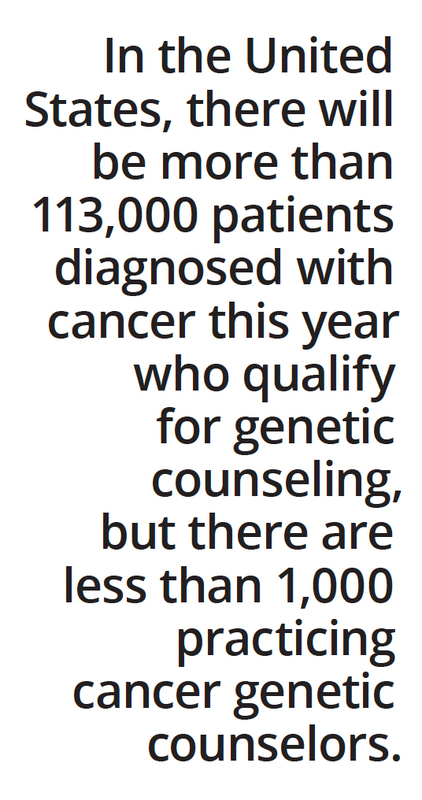 In the United States, there will be more than 113,000 patients diagnosed with cancer this year who qualify for counseling, but there are less than 1,000 practicing cancer genetic counselors. With sessions lasting up to 90 minutes, the workload is taxing, and the wait time for counseling can be long. Kauff’s clinic is testing the efficacy of video-assisted genetic counseling coupled with molecular genetic screening ordered by a primary care doctor. The goal is reducing the number of patients seen face-to-face by a genetic counselor by two-thirds. The grant supports other projects, including an investigation of whether women with mutations would be receptive to alternative ovarian cancer risk reduction strategies, such as only removing the fallopian tubes and leaving the ovaries, that may offer less protective effects but a greater quality of life. Ultimately, all of the clinic’s research is motivated by reducing future cancer devastation.